Last month I did this challenge and loved it. So I decided to repeat the challenge this month. Who's in? Love this! 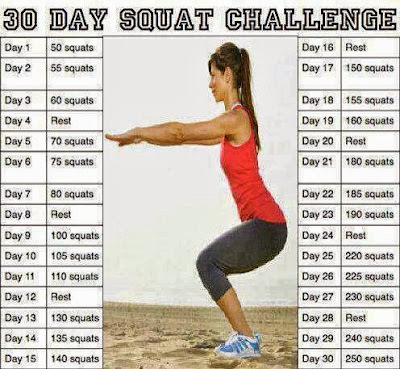 I'm going to give this a try this month! I did that in May. I wish I had done it another month. I decided on one that is abs & squats this month. Did you notice big results afterward?? Curious..